Changes in laws, observations, and opinions based on 35 years in the insurance industry. Our blog is a place for businesses and individuals to gather tips and education on insurance products to better prepare their coverages at the most reasonable cost. The views, information, and comments in this blog should be understood as the personal opinions of the author and provide only a simplified description of coverages and is not a statement of contract. Insurance products and coverages may not apply in all states. Social Security is about to pay out more money than it earns for the first time in decades, according to the 2019 OASDI Trustees Report, released today. By 2020, obligations to retirees and disabled Americans will cost more than Social Security's revenue from payroll taxes, taxes on benefits, and interest earned on investments. That imbalance is expected to continue until the SSA's main trust fund-the Old-Age and Survivors Insurance fund-is depleted in 2034, at which time scheduled benefits would be cut 23 percent to retirees. This year's projection is inline with last year's Trustees Report. Social Security's other trust fund-the much smaller Disability Insurance Fund-is in much better shape than previously projected. The DI Fund is now projected to remain solvent to 2052, a 20-year improvement over last year's projection, owed to the continued decline of disability applications since the end of the Great Recession. Together, OASI and DI funds will be depleted in 2035, a one-year improvement over last year's projection, the report says. But that headline is potentially misleading. The report notes that under current law, the cuts in scheduled benefits begin separately for each program: 2034 for the OASI program, and 2052 for the DI program. Last time SS was revenue negative, Congress moved to reform funding When Social Security begins drawing down its $2.9 trillion in reserves next year, it will be the first time the agency will pay out more than it takes in since 1982. 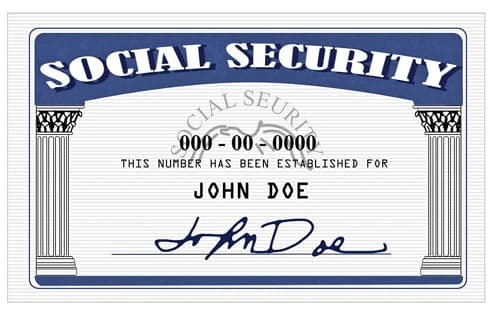 That underscored the imminent funding issues Social Security was then facing, and spurred amendments that were signed into law in 1983 that included the taxation of some Social Security benefits, an increase in the retirement age, and coverage of federal employees. Back then, control of Congress was divided as it is today-Democrats controlled the House of Representatives, Republicans controlled the Senate. The amendments were passed with bipartisan support and signed in to law by President Regan. While Democrats and Republicans have introduced bills to reform Social Security in recent Congressional sessions, and the House Ways and Means Committee held a productive hearing on reform at the outset of the 116th Congress, the parties are at loggerheads over a path to solvency. Democratic proposals include a phased-in increase of the payroll tax for all Americans, and an expansion of benefits for the most vulnerable Americans. Republican proposals favor raising the retirement age. As it has in previous years, the Trustees Report urges immediate attention from lawmakers, and warns against the costs of kicking the can down the road. "The Trustees recommend that lawmakers address the projected trust fund shortfalls in a timely way in order to phase in necessary changes gradually and give workers and beneficiaries time to adjust to them," this year's report says. "Implementing changes sooner rather than later would allow more generations to share in the needed revenue increases or reductions in scheduled benefits." Social Security's 75-year actuarial deficit is $13.9 trillion. 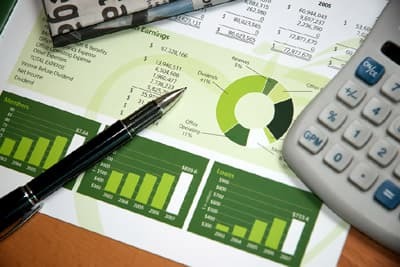 In order for its two funds to remain solvent over that period, payroll taxes would have to be increased by 2.7 percent to 15.1 percent, or benefits would have to be reduced by 17 percent for all current and future beneficiaries, or a combination of each approach could be applied, the report says. "If actions are deferred for several years, the changes necessary to maintain Social Security solvency become concentrated on fewer years and fewer generations," the Trustees say. 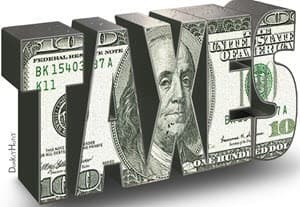 Inside the numbers An estimated 176 million people had earnings covered by payroll and Social Security taxes in 2018. About 52.7 million people received $845 billion in retirement benefits, and 10.2 million received $143.7 billion in disability payments. Social Security is expected to pay benefits to about 64 million beneficiaries in 2019. The OASI program took in $715.9 billion in payroll taxes, $34.5 billion in taxes on Social Security benefits, and $80.7 billion in interest payments on invested reserves. The DI program took in $169.2 billion in payroll taxes, accounting for most of its $25.5 billion surplus in 2018. Both programs are facing considerable demographic headwinds with the retirement of baby boomers. There were about 2.8 workers for every Social Security beneficiary in 2018. That ratio was 3.2 to 3.4 between 1974 and 2008. It is expected to continue to decline through 2035, when it will be 2.2 workers per beneficiary, as the baby boomer generation becomes fully retired. Take advantage of what insurance companies have always known. Aetna, Cigna, United Healthcare lead the change in group health insurance for small employers; however, the next step is to take advantage of how they make their profits. Level funding is an effective first step in controlling group health premiums for small employers. However, it's essential to not overlook the basic foundation of all insurance and obtain what may be the most significant savings opportunity. Level funded plans are considered fair insurance as they return a percentage of the premium with good claims experience but do not charge you more than the planned premium with bad claims experience. Level funded plans also bypass many of the taxes that the Affordable Care Act applies on fully insured plans. Initially, the quoted premium savings is obtained by considering the health of the participants and past medical history. To clarify how level funding plans are designed, you must look at three premium components. 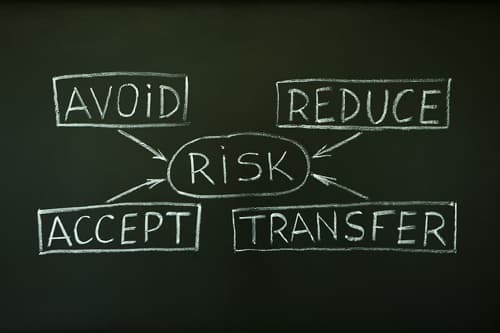 Stop-loss premiums protect any one person in the group or the overall group from a loss over a specific amount. The claims pool is roughly one-third of the overall premium and is the expected claims that are shared with the employer at the end of the year with low medical expense. The remaining premiums are used for administration including, network access, PBMs, claims adjudication, commissions, and support. To take the next step, you need an experienced consultant since it's essential that privacy is maintained and laws are followed. Simplify the process by using a high deductible, fully insured plan. The ACA law caps the maximum risk per participant, similar to specific stop-loss insurance used with a level-funded plan. An employer spreads the risk on the 20% of participants who are expected to have high claims amongst their entire group. Allow me to review your current plan, the demographics of your group, calculate your expected claims and design a plan for efficient saving. You will be shocked to know how much of your savings get left on the table! Let's start teaching the younger generation about fundamentals of debt. Medicare for all is a dream which can never be achieved. Why talk about adding benefits when the Congressional Research Service June 2018 study projects that the trust will be insolvent by 2026? Doubling down by putting more people in the program is our politicians' way of not addressing the issue. The number one-way Medicare and Medicare save money are by paying far less than traditional insurance to doctor and hospitals. Will doctors continue to practice medicine or the pharmaceutical companies invest in R&D if they deliver services at a loss? In 2014, there were 46.2 million Americans aged 65 and over and 6.2 million of the population aged 85 and over. The number of people aged 65 and older is expected to increase significantly and double in numbers, reaching 98.2 million by 2060. As for the number of people aged 85 and older, they are expected to triple and reach 19.7 million. How do our lawmakers plan to cover this cost before considering covering more people? Obamacare was an entitlement expansion on Medicaid, and no one is addressing the unpaid cost of this program. The Children Health Insurance Program is the number one insurance for children aged 0 to 18, and this program will bankrupt every state if ordered to pay the entire cost. Unfortunately, our politicians continue to add entitlements and not pay for the existing programs. Our great country cannot figure out how to pay off the current $22 trillion in debt, which means the average American household carries a debt of $137,063. The U.S. Census Bureau reports the median household income was just $59,039 last year. I won't even go near the Green initiative when the same politicians want to pass an infrastructure bill adding to the current debt. We are two interest points away from having an eye-opening situation as the debt interest payments at state and federal level will be too high to cover. Everyone needs to stop dreaming and face the facts. Government waste at its finest! CHIP "Children Health Insurance Program"
Monday, July 23, 2018 by Dan Roslokken -- General counsel to Insurance Design Administrators in Oakland. He is admitted to the N.J., Pa. and U.S. Supreme Court Bars. On June 1, Assembly Bill 2039 became law, ushering in bold patient protections and blockbuster realignment of claims-handling processes. Effective Aug. 30, extinction of "surprise" out-of-network claims is its goal. Patient protections now secured, the true "surprise" awaits providers and carriers scrambling to meet disclosure requirements and the uncertain fiscal impact upon plans who must comply. A New Claims Order Protection under the act hinges upon two classifications of medical charges. The first category addresses out-of-network services that are "knowingly, voluntarily and specifically" selected. In these circumstances, aside from brief disclosure obligations of the provider (discussed later), no further protections apply. The second category really shakes things up. Major patient protection provisions are created. Claims practices between providers and payers are significantly modified. Namely, if services are either out-of-network "inadvertently" or are "emergent," the provider is barred from billing the patient in excess of their deductible, copayment or coinsurance obligation. This is the hallmark achievement of the act, sparing patients from so called "surprise medical billing." This shifts the fiscal dispute. Now solely between payer and provider, the act requires plans to provide a "clear and understandable description" of their methodology to determine the allowed amount for out-of-network services. Payment is to follow. Assignment of payment to the provider is automatic under the act. If the provider disagrees with the payment, a novel and fast-tracked process awaits with arbitration at the end. Payment and appeal is abbreviated under the act. Within 20 days of receipt, the claim is to be paid or notice provided stating the charges are considered excessive. A 30-day settlement period follows. If agreement is not reached, the payor nevertheless is to pay their "final offer." If the provider remains unsatisfied and the difference between "final offers" is greater than $1000, the provider holds a 30-day option to initiate binding arbitration through NJDOBI. Arbitration is upon written submissions including each party's "final offer." Oddly, the act freezes the payer's position, with no ability to submit a modified "final offer." Decision is swift (within 30 days) and limited to the two amounts submitted. No discretion exists to fashion a different amount (having been deleted in the final version of the bill). Fees and costs are split, unless the arbitrator finds the payor failed to act in good faith. No mirror provision exists for providers failing to act in good faith. Payment (if any), is to be made within 20 days of decision. Interest rates apply thereafter. Arbitration is barred for those not following pre-authorization or medical necessity review requirements. Similarly, arbitration is unavailable for those who have knowingly and voluntarily selected out-of-network services. "Inadvertent" ... or by Design? Importance hinges upon whether services were "inadvertently" out of network, defined as "[when] for any reason in-network services are unavailable in that facility." The phrasing is significant. Common hospital practice outsources departments, frequently including emergency rooms, radiology, lab services and anesthesiology-such services seldom participating with any carrier. It is precisely this mismatch of participation status that leads to the so-called surprise bills. But rather than tackle root causes, the act goes in a different direction, calling it inadvertent when participating services are "unavailable" "for any reason" (arguably including having outsourced the services in the first place). 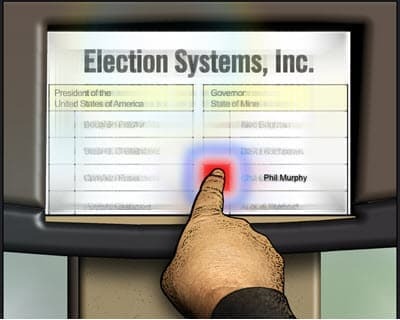 The result deems all such services as "inadvertent," enjoying the protections of fast track payment and arbitration. The underlying practice is unaddressed and, by virtue of this act, is now protected. All Is Not Roses for Facilities It is not all upside. The act requires facilities to advise patients of their participating status, directing patients to also confirm the participation status of the provider arranging the service(s). Differences in disclosure depend upon the participation status of the facility. A significant twist lies in defining "facility" beyond the traditional concept of a hospital to include broader categories of satellite emergency departments, hospital-based off-site ambulatory care facilities, and free-standing ambulatory surgical centers. 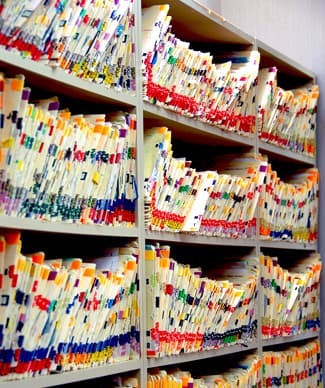 The act also requires facility website-based disclosure covering four topics: plans in which the facility participates; notice that physician services are not included in the facility charges; full contact information for all hospital-based groups contracted by the facility (to include anesthesiology, pathology and radiology); and finally, the full contact information of every physician employed at the facility and the plans in which they participate. Disclosure forms will be regulated by the Department of Health. Tougher Disclosure for Providers The burden of disclosure (and modified billing practices) falls even harder upon providers. Either via website or written notice, providers are to list the plans in which they participate. Where the provider does not participate in a plan, the provider is to inform the patient in terms "typically understood" of their non-participating status, and their charges must be available upon request. If requested, the provider is to provide the procedure codes anticipated for the service(s) and their charges. Further, notice is to be given that the patient may be responsible for amounts in excess of the person's deductible, coinsurance and copayment for any out-of-network services and to contact their carrier for further information. Referrals and coordinated treatment bring additional responsibilities. Regardless of setting, the originating provider is to disclose the full contact information of any provider scheduled to provide anesthesiology, laboratory, pathology, radiology or assistant surgery services, advising the patient to determine the plan participation status of referred providers. Disclosure expands when scheduled facility and non-facility services are involved to include the full contact information of any other physician whose services are scheduled at the time of pre-admission testing, registration or admission. Licensing boards are delegated oversight of disclosure forms and sufficiency. Boldly, the act modifies billing practices associated with the waiving of patient responsibilities. A hotly debated practice, the act now forbids providers from waiving any part of a deductible, copayment or coinsurance "as an inducement" to entice patients to utilize their out-of-network services. If a pattern of such waiver is established, the "inducement" is considered satisfied (and a violative practice). Carrier Lift The toughest responsibilities are placed upon carriers. Beyond listing providers who participate with the carrier, the methodology that determines the allowed amount for out-of-network services is to be disclosed. Moreover, carriers are to enable a website to not only calculate reimbursement rates for out-of-network services, but their difference from the usual and customary cost. Now obliged to staff customer service hotlines 16 hours per day, the carrier is responsible to state the allowed amount the plan will reimburse for a particular medical procedure (CPT code) and the portion of the allowed amount for which the patient will be responsible. Carriers are to alter their Explanation of Benefits to clearly state the protections against balance billing for inadvertent and emergent services. NJDOBI is directed to design new medical identification cards consistent with the protections under the act. Tabulations of realized savings under the act are to be filed annually with NJDOBI. Broad brushed, annual independent third-party audits of any "managed care plan" are mandated under the act. While the scope is unclear, apparently audits are to opine upon the adequacy of providers "in accordance with applicable federal or state law." Results will be posted on NJDOBI's website and deficiencies can trigger NJDOBI enforcement. Self-Funded Plans and the Illusion of Opting In Recognizing that not all plans are fully insured with a carrier, the act acknowledges that health benefits can be self-funded. Numerous references are made to self-funded plans' ability to opt in to the act's new world order of claims resolution. Whether plans do so is irrelevant, as the act permits providers to initiate arbitration upon all self-funded plans without qualification. The only difference for a non-opting-in self-funded plan is the decision maker's discretion to fashion an award (the concept of either/or and "final offers" does not apply). Whether arbitration is binding is unclear, the act conflictingly stating both. Further inartful phrasing limits self-funded plans to those regulated under ERISA. This leaves the status unclear for a substantial subset of plans neither fully insured nor self-insured under ERISA-e.g. MEWAs (multiple employer welfare arrangements), association plans and church plans-in addition to government entities permitted to self fund, which includes the NJ State Health Benefit Program, HIFs, counties, municipalities and agencies. Only the Beginning? Patient protection is always the goal. But it did not have to be this way. Or so complicated. Inclusion of the Medicare Allowable Charge upon all billing (a current federal proposal) would have benchmarked the relative value the act clumsily mishandles. The existing statute regarding excessive fees could have been modified to declare charges in excess of "x" times the Medicare Allowable Charge to be de facto excessive and barred. Alternatively, a requirement could have been made that all contracted services to hospitals and all employee physicians of a hospital mirror its participation status. Instead, the act is hastily written, contradicting itself at times, ignoring existing state and federal claims handling and appeal rights. Conflict of laws and federal pre-emption challenges will plague implementation. The data lift of carriers and providers is substantial. The authority in arbitration to exceed stated out-of-network plan limits is unknown, but doubtful. The significance of "plans" not being synonymous with "carriers" is completely missed. Whether estimation of costs will operate as a medical version of a mechanic's pre-estimate is unsettled. Claims negotiation services are constrained due to the new processing deadlines. Because such cost saving mechanisms are curtailed, self-funded plans may be disproportionately affected, particularly those sponsored by municipalities, counties and unions. It did not have to be this way. Or so complicated. State to Enforce "Shared Responsibility Tax"
NJ Governor Phil Murphy wants money, if residents don't maintain individual health insurance. Effective January 1, 2019, the governor signed a new law reestablishing the recently repealed "shared responsibly tax". It forces individuals to pay 2.5 percent of a household's income or a per-person charge - whichever is higher. A "hardship exception" for individuals who cannot afford coverage would be decided by one person i.e. the state treasurer Elizabeth Mucio. At the same time, NJ is one of the worst states for offering individual alternatives to fill the gaps in the out-of-pocket cost for health insurance. NJ also does not allow individuals to secure short term major medical in-between open enrollment periods. The maximum out-of-pocket cost for health insurance will be raised, based on the inflation-adjusted out-of-pocket limits from $7,350 per individual and $14,700 per family to $7,900 per individual and $15,800 per family in 2019. 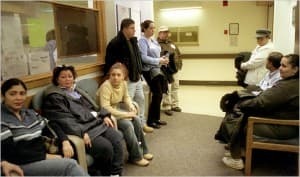 Meanwhile, according to the Kaiser Family Foundation (KFF), more than a quarter of U.S. adults struggle to pay their medical bills. This includes folks who have insurance, whether independently or through an employer. In fact, medical debt is the No. 1 source of personal bankruptcy filings in the U.S.. In 2014, an estimated 40% of Americans racked up debt resulting from a medical issue. The amount of money owed on average is $13,279 based on a 2007 study. 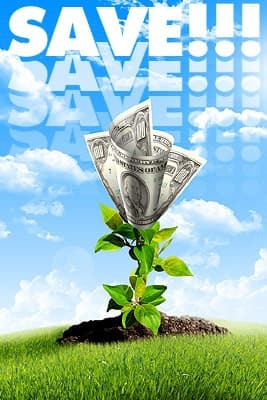 Moreover, according to a recent GoBankingRates survey, 69% of Americans have less than $1,000 in savings, while 34% have no money in the bank whatsoever. The options are slim to none if you do not have coverage or you lapse your insurance for non-payment of premium. We have been giving individuals with no coverage a way to offset medical expenses based on four services. Access to doc 24/7, broach certified doctors who can prescribe medication, accident plans that pay up to $15,000 per individual based on billed charges, Preferred Provider access to any type of medical expenses allowing you to pay wholesale verses retail rates, life with living benefits of critical, chronic, and Long Term Care protection. Term and Permanent life insurance can advance pay the death benefits for major medical conditions that shorten one's life span. Everyone should beware of the law when you can enroll and the options available to them. Most people are not aware that each family member can enroll in a different health plan, based on their needs. Some still do not realize that children can be covered for low or no cost through the state children health program. I also find that most people do not know the rules that allow them to qualify for substantial subsidies on individual insurance. They are also unfamiliar with the ways they could take advantage of tax savings for no covered out-of-pocket medical, vision, and dental expenses. There are numerous other rules and requirements that individual and employers should know as well. Everyone needs to have a trained advisor. Everyone needs to know that a Navigator or the Marketplace representatives are not licensed, cannot discuss insurance plans, and typically just go by what their computer tells them. There is a tremendous amount that you need to be advised on when protecting your family and more changes are coming. Recent executive orders from the White House will allow for association plans to be marketed. These plans will not offer all the essential services required by the Affordable Care Act. Therefore, you will have to read the contracts to find out what is not included. Buyers beware! The new law applies to any business entity in NJ that hires employees regardless of its size. The law is broad-based in coverage and will surely hurt employers with high turnover positions. NJ will be following nine other states that are the only ones to implement this benefit. This adds to the already high burden on employers in NJ. The Paid Sick Leave law excludes employers in the construction industry employed by union, per diem healthcare employees, and public employers who must give paid sick leave to their employees. Furthermore, this law supersedes all existing and any future municipal ordinances in the state that deal with paid sick leave. Tax payers will pick up the costs for the municipalities and employers will have to pass on the cost to their customers. The law allows employees to accrue sick leave time with a cap of 40 hours per benefit year at a rate of 1 hour for every 30 hours worked. Employer can frontload said hours at the beginning of the company's designated benefits year. Although, I do not think there will be many takers. Additionally, employers who have existing PTO, personal days, vacation days, and sick day policies may utilize them to meet the requirements set by the state paid sick leave law. All existing policies have to meet the state law requirements. Employers will face penalties for not following the new law effective October 29 of this year. Plus, there is also an anti-retaliation provision in the law that makes it illegal to retaliate against workers who use their earned time off. An employer who takes retaliatory actions against an employee using their paid sick time could face additional penalties and lawsuits. Employees will be able to sue their employer, if the latter violated the law and can seek damages, as well as, liquidation damages. Questions remain. 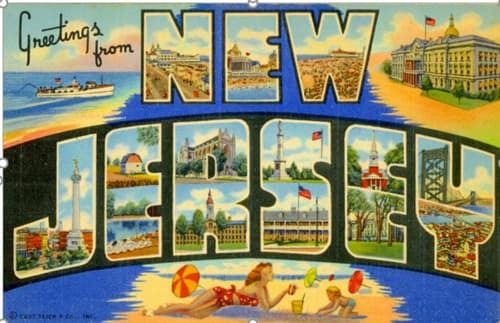 For instance, does a NJ employer have to offer the same benefits to out-of-state employees working for the NJ employer? Can they instead avoid the policy with an independent contractor designation? Even temporary help service firms are affected as the paid sick leave will accrue by the total time worked on assignment. Employers are instructed to seek assistance from HR compliance experts to help prepare for the law and ensure compliance when it goes into effect. Rates have been filed across the country and the outlook is not great. Not only will individuals have to sign up for coverage within 45 days, but the choice will also be limited. Across the nation, 42.41% of counties will only have one insurance carrier to pick a plan with and 1.27% of counties are projected to have no carriers at all. Premium rates for larger networks of providers or offering out-of-state or out-of-network coverage will increase upwards of 59%. Meanwhile, the maximum out-of-pocket cost for individuals and groups will be raised to $7,350 for self-only coverage and $14,700 for family coverage. Still, upwards of three-quarters of individuals will be insulated from rate hikes by staying with the high out-of-pocket benchmark plans using the subsidies offered through the Affordable Care Act. Individuals earning less than 250% of the Federal Poverty Level will also be shielded from higher out of pocket costs unless of course, President Trumps stops the cost sharing subsidies. As of this date, it looks like individuals earning over 400% of the Federal Poverty Level will pay an average increase of 22% with Horizon of New Jersey on their popular Omnia Silver plan. AmeriHealth is asking for as much as a 59% increase on some plans. Eastern PA residents seem to be spared with Keystone Health Plan East looking for a 4.6% increase on individuals but 10.18% on small group plans. In New York, the average increase is 14.6% for individuals and 9.3% for small groups plans. Looking at these price increases, it is strange that Eastern PA, with only one insurance carrier, is offering coverage with the lowest rate increase while NJ, with 3 carriers, and NY, with 15, cannot say the same. Still, these rate increases on top of last year's increase will make insurance unfordable to many paying the full cost for coverage. 1 Stop Benefits Inc. will continue to stay on top of all the changes in the insurance world, and seek out ways to find high quality, low-cost care for everyone. We strongly suggest you contact us right away and as about our enhanced supplements to fill the gaps in any health plan. Some of these low-cost cash benefits will not be available to new clients as of the new open enrollment. NJ residents should view this Flyer because you only have up to November 15 to purchase. Everyone loves a sale... Save on your medical/dental coverage! We can see this in the news all of the time. For example, the recent merger of Amazon with Whole Foods has sent many, including the media, into lively discussions about price cuts and possible Amazon Prime benefits. Many times, we see the purchase of an item or service being justified by its sale pricing. I often ask my children, "a sale on what?" After all, sales often follow after price hikes on items, making a sale seem to be a bigger discount than it ever really was. Marketers use the word "sale" to evoke quick decision thinking, and while this tactic has been used forever, we still fall into the notion that we are getting a bargain. Using the word "Sale" in the medical or dental industry does not have the same impact to drive a reaction. Most people would not have a surgery because the treatment was discounted. The majority of us also would not sign up for another dental cleaning just because there was a discounted rate. So, the fact that anyone can get a discount when obtaining medical or dental care does not motivate an immediate reaction. You may react quickly to a medical device or vitamin on sale, but you are more likely to schedule a yearly physical based on your insurance plan offerings. While everyone would prefer better health or cleaner teeth, many label the treatment and maintenance required as too costly. Part of this problem in the medical/dental world is lack of awareness of the cost of care. The average person has no idea if the price they are paying for healthcare is reasonable. Moreover, people develop relationships with their dentist or doctor, making shopping for affordable care more complicated. With the right insurance coverage, every family can find a true "sale" on medical/dental care. Discounts in the world of health care do exist (and never at the expense of quality!). Being better informed about the costs of your providers and the benefits of your insurance plans can help you always get the most for your money. Give a 1 Stop Benefits representative a call and ask about the WellCard Saving program and our pricing links to find out what is a reasonable cost for any type treatment or prescription in your area. Click to call. The average American male lives to age the age of 84 while the average female lives to 86 years old. Of course, these estimates do not take into consideration family history or personal life habits. We recommend checking out an online life expectancy calculator to take into consideration your unique circumstances. Either way, Americans in general lead long lives - and we certainly do not expect ourselves to work all of those years. This is why planning for retirement as early as possible is important. While we may be living longer, more and more individuals are being diagnosed with chronic health conditions. Over 40% of individuals will have at least one chronic condition diagnosed before the age of 65, and 70% of individuals will need long-term care sometime in their lifetime. With the high likelihood of a critical, chronic or long-term health care expense, there is great need to plan ahead to offset those exuberant costs. Unfortunately, government resources cannot be relied upon in the future - with programs like Medicare, Medicaid, and Social Security facing huge funding issues. You may already be aware that insurance plans exist to cover the cost of long term and critical illness care. It may be difficult to think about purchasing such care. Many believe it to be expensive or unnecessary. However, one just needs to look around to family, friends, and neighbors to see individuals suffering from the financial impact of unexpected medical treatment and assisted care. The viatical and senior settlement business rose out of the need for terminally individuals to gain additional money to cover their excessive medical costs. Terminally ill individuals sell their life insurance coverage in order to support themselves. However, a new form of life insurance has recently emerged and offers living cash benefits as a part of the policy. Living benefits built into a low-cost term and permanent life insurance gives younger adults a huge reason to purchase coverage now, especially because there is no telling what the future holds. 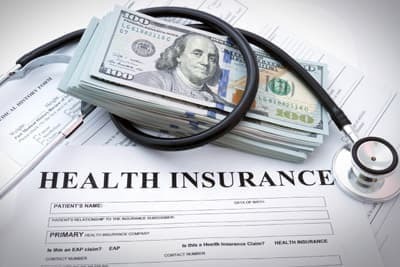 This coverage is not a replacement for the purchase of disability or long-term care insurance, as those plans offer much more robust cash benefits as a result of short term illnesses or non-life altering conditions, especially during one's earning years. However, purchasing a life insurance policy with living cash benefits may help reduce some of the burdens we all may face as we grow older. To learn more about life insurance with living cash benefits- talk to us at 1 Stop Benefits Inc. Check out the Social Security Estimator.